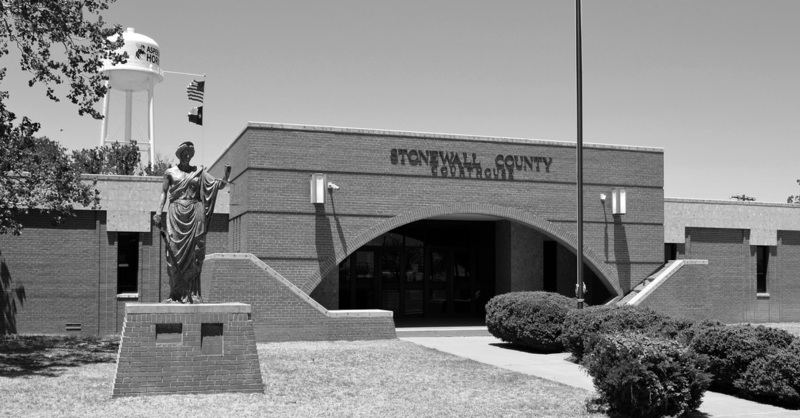 "Stonewall was one of fifty-four counties formed by the Fifteenth Texas Legislature in 1876 from the Young and Bexar districts. It remained attached to Young County for judicial and all other governmental purposes until March 31, 1887, when it was attached to Jones County for convenience. The county was named for Confederate general Thomas J. (Stonewall) Jackson. "In 1888 the residents of the county petitioned the Jones County Commissioners Court to hold an election for the organization of the county. The balloting took place on December 20 of that year. On June 12, 1889, W. E. Rayner granted land for a townsite, and the new town of Rayner became the county seat. The courthouse, a large stone building, was built the following year. "As the county's population continued to expand in the 1890s, the placement of the county seat became a source of local controversy. 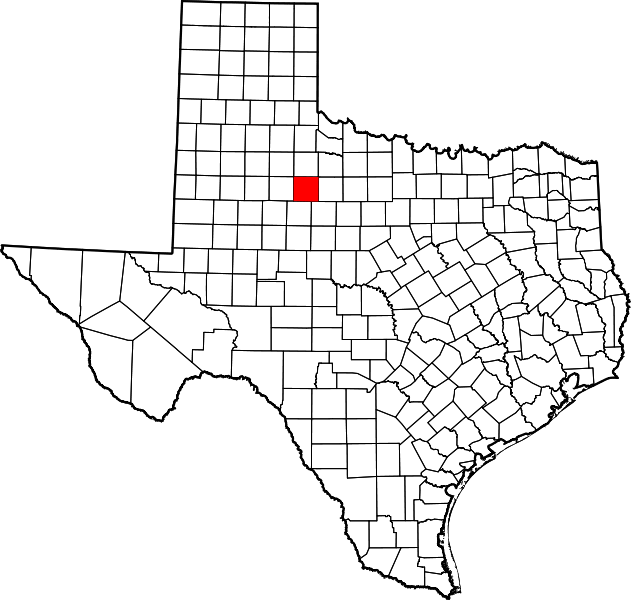 [In 1889] A. L. Rhomberg ... platted a town, Aspermont, which was closer than Rayner to the center of the county. 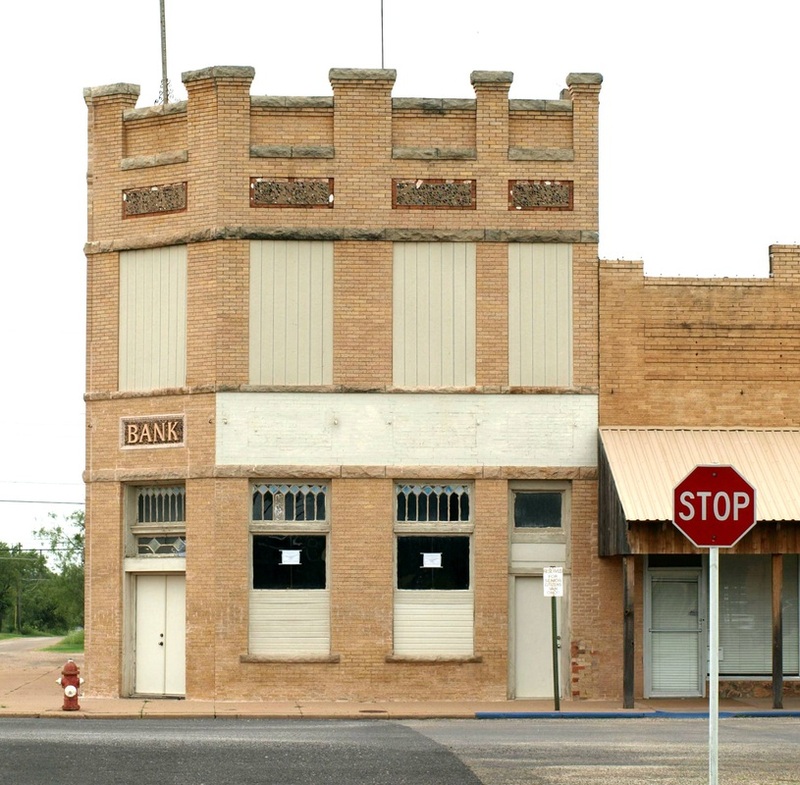 Beginning in 1892 the citizens of Aspermont made several attempts to make their rapidly growing town the county seat, and finally succeeded after an election held in June 1898. 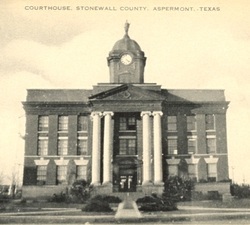 [In] March 1900, ... a contract to build a new courthouse in Aspermont was signed. Rayner soon ceased to exist." 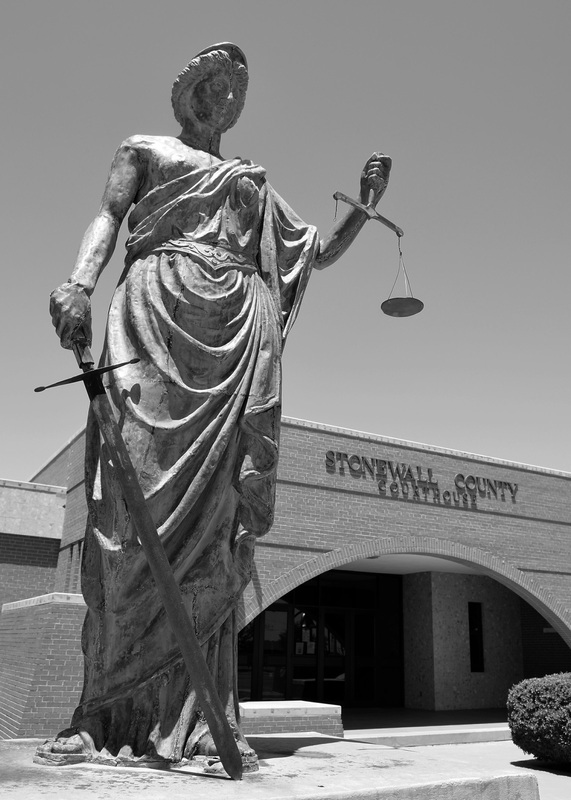 I visited Stonewall County and photographed the courthouse on July 27, 2010 and June 1, 2013. Located in Rayner, this classical building was designed by Martin, Byrne & Johnson. 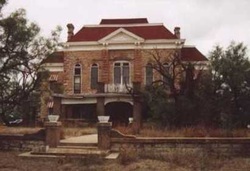 When the county seat moved to Aspermont this courthouse was abandoned. I understand it still stands in what remains of Rayner. This solemn classical revival design was the work of architect Elmer G. Withers, who also designed the nearby Jones County courthouse in Anson. The stately building was "altered," or "stripped" of its classical elements in a 1955 remodeling. 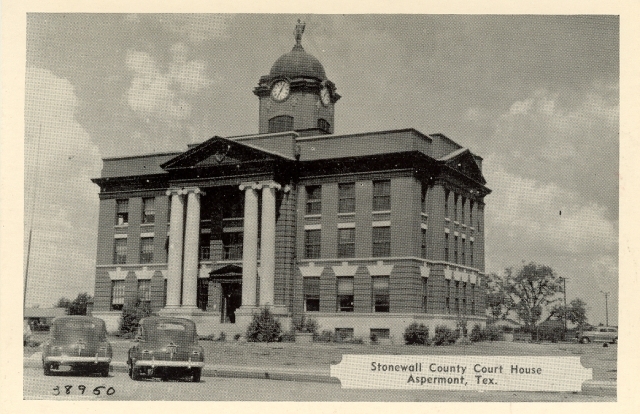 It was then demolished to make way for the current courthouse. The 1911 courthouse cornerstone is displayed on the grounds of the current courthouse. 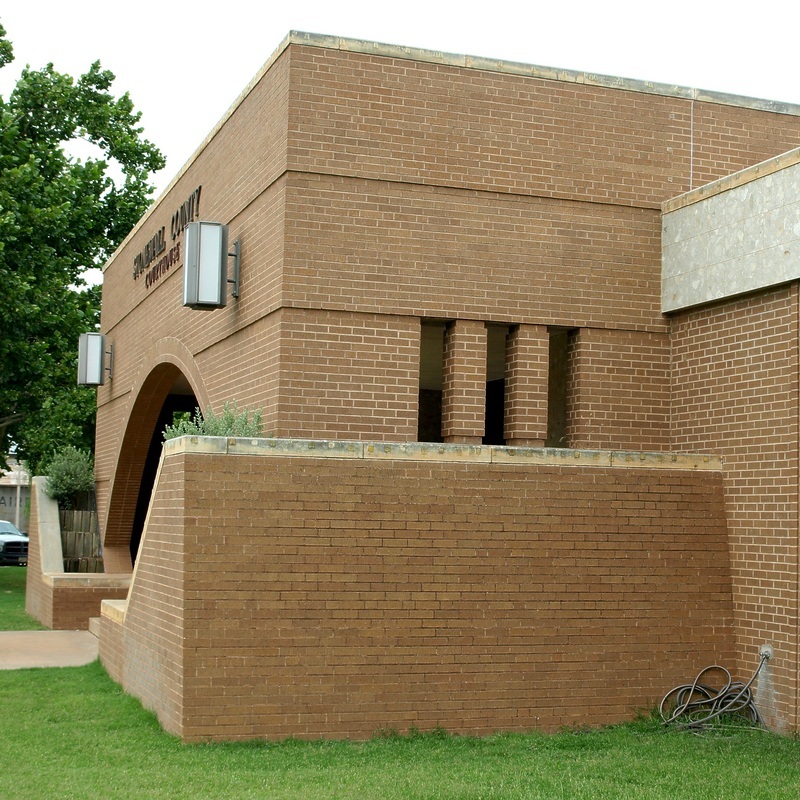 The building exterior consists of a stack bond brick veneer with a tile "cornice"
The courthouse occupies the west side of the large town square in Aspermont. US Highway 380 passes directly north of the town square. The 1983 courthouse is on the right. 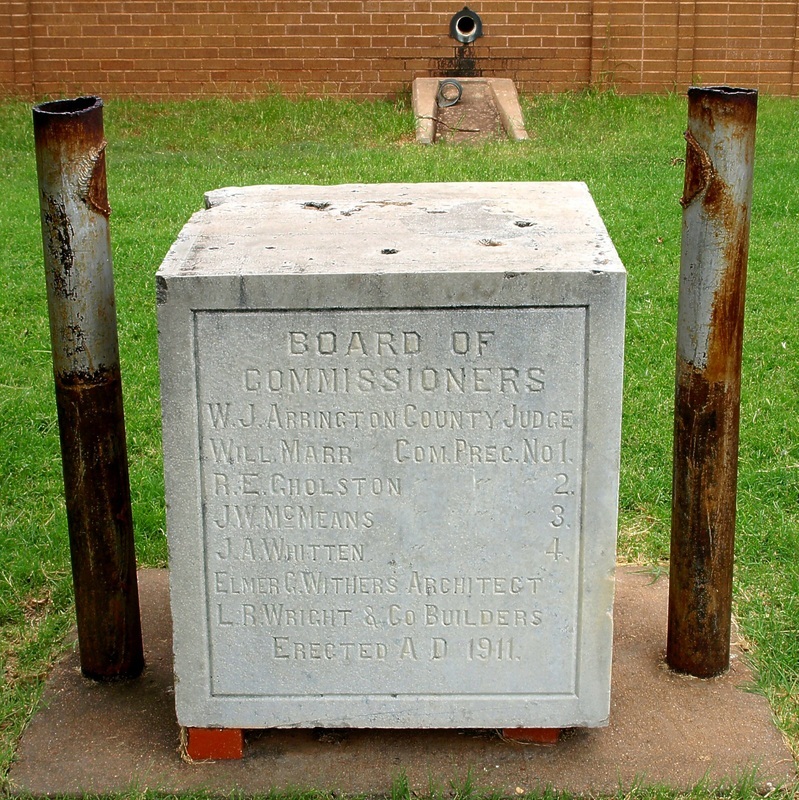 Note the 1911 courthouse cornerstone protected by a pair of steel bollards. An historic bank building on the square. 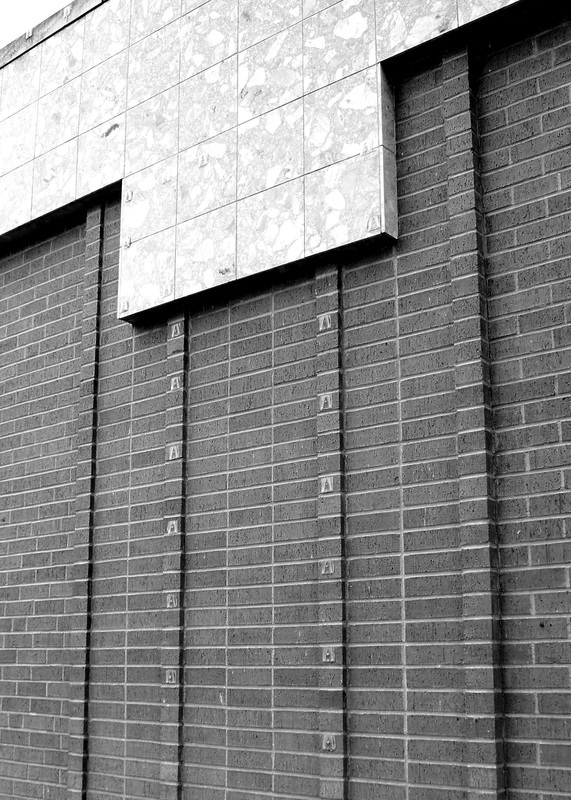 The 1983 courthouse uses a brick that is found throughout the square. The First Methodist Church in Aspermont. A block south of the town square. 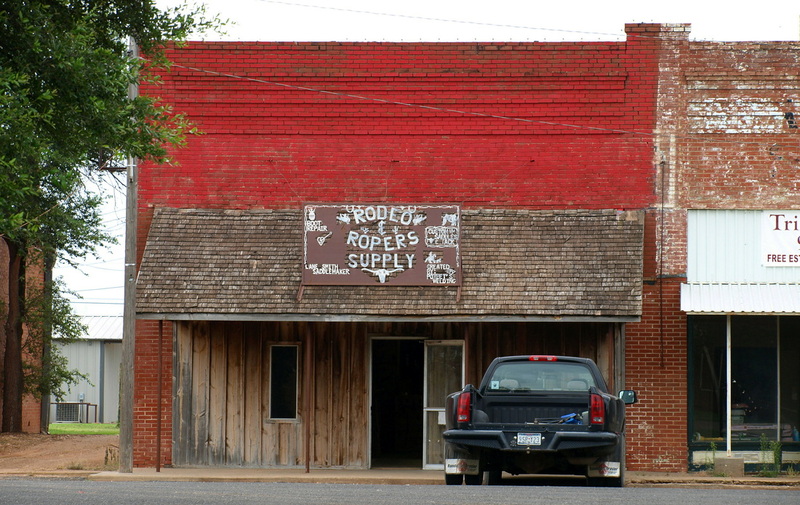 A mercantile building on the square in Aspermont.